OK, this is true holiday craft at it's most delightful! 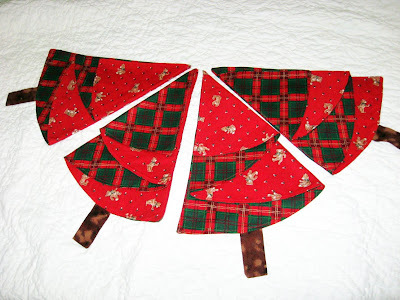 I was unimaginably thrilled to get my new set of Christmas tree napkins in the mail recently. These things are so much clever fun, and not detail is overlooked by the creators at Winglion. These napkin sets, table runners and quilts are made by two sisters right here in Oregon! It's highly possible that you, like me, know a ton of folks who are in the baby-making craze right now- just trying to get their families going before their clocks explode. This is my, at least, third round of baby-making in my groups of friends over the years. 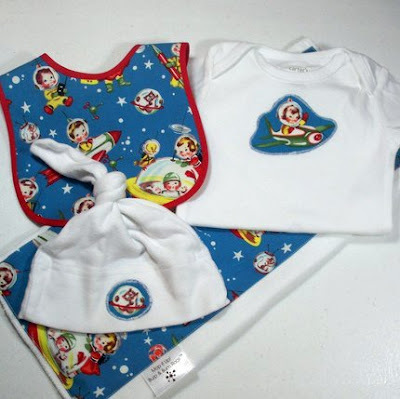 And, I have never been able to get anything more adorable, smart and truly useful than the great baby clothes, soft toys, blankets and other accouterments made by Jen of Pearly Grey! I make a regular habit of getting the hospital takeout kit for baby showers, and I always win! She is highly skilled at making the cutest things that never fall apart, and you can find her, along with me and 180 other vendors at this Sunday's Crafty Wonderland Holiday Show! 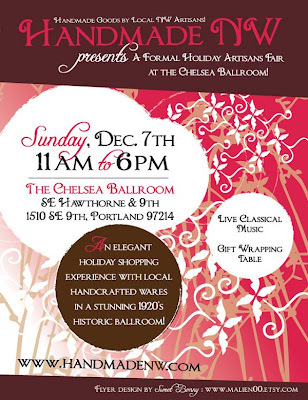 Crafty Wonderland this Sunday! Get your shop on, and get free stuff! 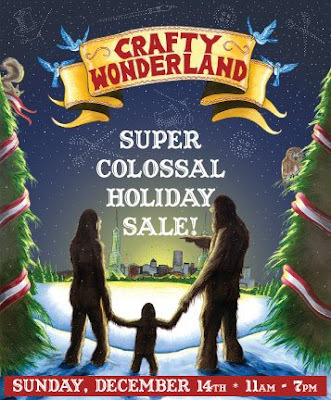 I am so excited to be vendor at this year's Crafty Wonderland Super Colossal Holiday Sale, sharing a table with Ladymade and sitting next to PDX Softgoods! My brother Phil and I went as shoppers last year and nearly passed out from the energy and super-sweet deals flying around. I hope I get to shop it as well as sell my goods! For those of you not selling, you should know that the 1st 200 folks will get goodie bags filled with excellent, real-life items from many of the 180 vendors there! This will be a really great time, rain, shine, or flakes! You know Portland's craft culture has arrived when our beloved Crafty Wonderland holds its Super Colossal Holiday Sale at the Oregon Convention Center. Yup, it's that big. If you attended last year's sale, you know that this Sunday will offer a mind-blowing array of creative locals, selling all kinds of awesome. The first 200 people through the door get goodie bags! And the OCC will give us all plenty of room to shop and chat. Get all the details over here. Image of Autumn Drey Autumn Comfort candles are made from all-natural soy and palm waxes, with lead-free wicks. Candle maker & mother of 2 boys Autumn Drey hand cuts and paints wine bottles to form beautiful, durable holders. 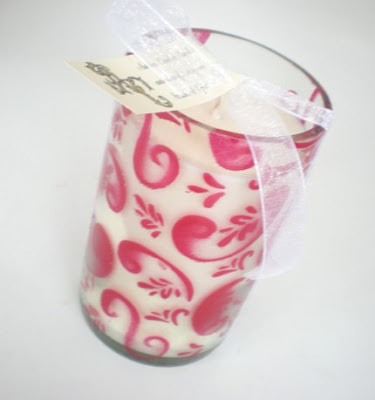 Her hand poured all natural soy candles are made in small batches to insure consistent quality and made with the most delicious, high quality fragrances and essential oils in beautiful frosted glass jars, unique tumblers and fabulous hand decorated, hand cut wine bottle jars. She is always thinking of ways to recycle, upcycle and use natural and safe ingredients while making the world a prettier and nicer smelling place! Autumn's from Portland, so I've had the good fortune of picking up some delightful candles from her at one of the many, many craft shows she does. And let me tell you this- her prices are eye-poppingly great! Here is example of getting very nice, and nice-looking gifts that deliver great bang for your buck! Just try not to bite into the blueberry cheesecake one- I dare you!